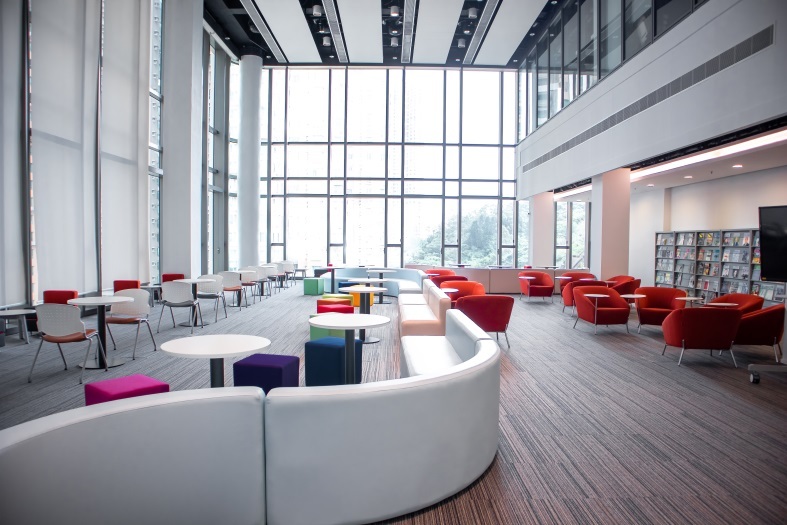 Featuring a glass wall and a flexible seat combination of stylish sofa and small study tables, the Leisure Reading Area offers a spacious, comfortable environment for users to study or relax. Floor plugs and wireless (Wi-Fi) network connectivity for mobile devices are available throughout the area. Also, a wide variety of magazines and daily newspapers are displayed on the wall-mounted racks for leisure reading of users.